Welcome to VentureWest Camping ! Our mission is to educate, motivate and assist you in getting away from it all and just go camping. Our pages will cover the United States Western Region which we define as California, Arizona, New Mexico, Colorado, Utah and Nevada. Why go camping when there are so many other things to do with your time and money? Camping boils life down to it’s essence. It is cost effective. Camping can be fun from the get go, from start to finish, the whole experience. Nothing gets you closer to nature then a campground among the wilderness; the trees, the rivers, lakes, the desert. Have a campfire, sleep under the stars or cook s’mores. Leave all the distractions of modern life behind. Get to know your spouse, your kids, your parents all over again. Realize that you can exist and even thrive on less! Camping can give you more travel for less money. We, in the West, are blessed with an amazing amount of public lands, National Parks and a wide variety of topography. By just some driving, we can be at the ocean, the mountains or the desert. Without the troubles and expense of flying, renting a car and arranging a hotel, we can pack our car, drive to an amazing location, having fun on the way, and setup a camp as a base for our adventures. Lastly, camping features a whole experience of joy from start to finish, if you plan it right. Take the time to explore what you want to do and enjoy the planning. During your drive, stop to smell the proverbial roses. Take the time for the unexpected side trip and explore our great Nation. 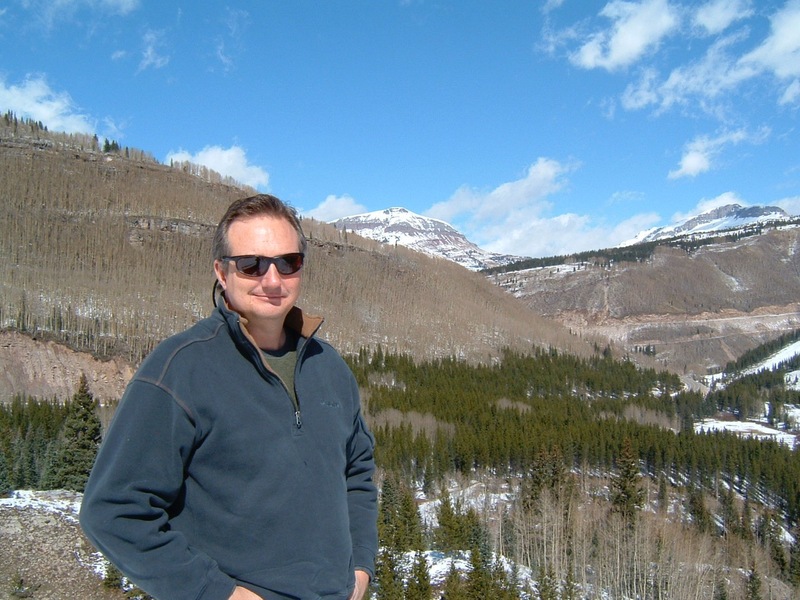 Hello, my name is Philip Beale and I am addicted to the outdoors….It started growing up in Altadena, California, USA, across the street from a large canyon at the edge of the San Gabriel mountains. Many an hour was spent hiking, playing in the stream and just generally being a kid. Growing up in Southern California gave my family easy access to all the West had to offer and my parents, with a camper van and kids in tow, took great advantage of. Now, as an adult, I try to spent as much time outside as I can. I even have a job with the best view in the world, a pilot. With this site I hope I can share, with as many people as possible, my love for the outdoors. What you will find on the site. We hope VentureWest Camping’s website site will help you by providing the how-to of car camping, with a sample packing list and ideas of what to prepare for food out on the road. Next, we will give you some sample trips based upon possible adventures in such topics as history, nature or an activity. To do so you will find the trip described in the text and again on the Quick Links on the right side. The link will take you to our Pinterest site which, ultimately, links you to interesting attractions and locations we have enjoyed. Lastly, we hope to provide guidance on where else on the web to find trip planning help such as the National Park Service website or State Visitor’s Guides. If you have a wonderful destination, attraction or trip you like to take in the west and wish to share it please send us an email or a comment. Most of all, just get out there! Thanks so much Dan ! There is so much to see and do in the US West that, in my small way, I hope I can help people to go out, explore and share the pleasure nature has provided to me. Thank you so much. I’ll try and make them fun!